Main purpose of this report is to analysis Modern Trade of Reckitt Benckiser Limited. Other objectives are to determine the most common obstacles those are facing by the consumer of Reckitt Benckiser and their probable solutions. Report mainly focus on to observe the working environment in Multinational Companies, like Reckitt Benckiser and observe also analyse the various Products of Reckitt Benckiser. Finally identify the problem, if anybody faced by the officials dealing in banking business and to examine their view to solve them. Reckitt Benckiser plc is one of the world’s leading manufacturers of cleaning products, and a member of the FTSE 100 Index of the largest companies traded on the London Stock Exchange. It is headquartered in the town of Slough just to the west of Greater London. Reckitt Benckiser has operations in more than sixty countries and sells its products in more than 180 countries. The company focuses on high-margin products and has shown strong growth in earnings per share in recent years. At 31 December 2006, it had a market capitalisation of £16.878 billion.On December 10, 2007 it announced a Tender for Adams Respiratory Therapeutics Inc for $2.3 Billion. The company was formed by a merger between Britain’s Reckitt & Colman and the Dutch company Benckiser NV in December 1999. The origins of Reckitt Benckiser’s main predecessor businesses are set out below. Various other business have also been purchased over the years. Johann A. Benckiser founded a business in Germany in 1823. Its main products were industrial chemicals. In 1938 Reckitt & Sons merged with J&J Colman to become Reckitt & Colman Ltd.
Reckitt & Colman sold the Colman’s food business in 1995 but still has some food brands. It divides its brands into six categories: surface care, fabric care, dishwashing, home care, health and personal care, and food. Benckiser moved HQ from Germany to the Netherlands and went public in 1997. In October 2005, Reckitt Benckiser agreed to purchase the over-the-counter drugs manufacturing business of Boots Group, Boots Healthcare International, for £1.926 billion. The three main brands acquired were Nurofen in analgesics; Strepsils sore throat lozenges; and Clearasil anti-acne treatments. In September 2006, the company announced it would close its factory in Bilbao, Spain. Reckitt Benckiser (Bangladesh), Ltd. offers health and hygiene care products for consumers in Bangladesh. It provides products in the areas of surface and fabric care, dishwashing, homecare, health and personal care, and food. The company’s surface care products include disinfectant and lavatory cleaners, general purposes and specialty cleaners, and polishes and waxes. Its fabric care products comprise fabric treatments, fine fabric, water softeners, fabric softeners, and ironing aids laundry detergents. The company’s health and personal care products comprise antiseptics, depilatories, denture care, analgesics cold/flu, and gastro-intestinals. 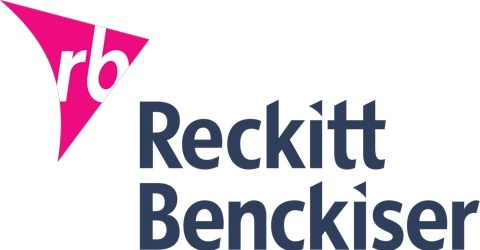 Reckitt Benckiser (Bangladesh), Ltd. was formerly known as Reckitt & Colman Bangladesh, Ltd. The company was founded in 1961 and is based in Dhaka, Bangladesh. Reckitt Benckiser (Bangladesh), Ltd. operates as a subsidiary of Reckitt Benckiser Plc. like-for-like net revenue growth of 7% per year, adding around £1900 million net revenue since 1999. Faster than industry average profit growth, tripling net income from £200m in 1999 to £768m in 2006. It’s net revenue for 2006 was £4.9 billion. Reckitt benckiser has five core catagories: Health and Personal Care, Fabric Care, Surface Care, Dishwashing and Home Care. It also has a North American Food Business and a small pharmaceutical Business. These categories account for 94% of total net revenues and include world-leading brands such as Finish, Calgonit, Vanish, Calgon, Woolite, Lysol, Dettol, Veet, Air Wick, Mortein, Nurofen, Strepsils and Clearasil. Products that relieve common personal or health problems. Antiseptics protect against infection and deliver germ kill. Analgesics, Cold/Flu/Sore Throat and Gastro-Intestinals are generally over the counter medications for common ailments like pain, fever, cold, flu, sore throat or heartburn. Suboxone is the Company’s prescription drug against opioid dependence. Veet, our Depilatory product, removes hair leaving beautiful smooth skin. Our skin care range consists of products like Clearasil to fight spots and break-outs for visibly clearer skin and products like E45 for dry skin. Denture Care consists of both denture fixatives and cleaners. This category consists of five product groups used for cleaning and treating all fabrics. It covers products used before, during or after the main laundry wash cycle. Fabric Treatment products remove stains from clothes, carpets and upholstery. Garment Care products are specially formulated for washing delicate fabrics. Water Softeners protect the machine and laundry against the build-up of limescale and other deposits. Fabric Softeners are used for softening and freshening fabrics and ironing aids help make ironing more convenient. Laundry Detergents clean fabrics in washing machines. Five product groups. Disinfectant cleaners both clean and disinfect surfaces, killing 99.9% of germs. All purpose cleaners are ideal for many household surfaces, particularly in the bathroom and kitchen. Lavatory cleaners offer specialised cleaning and disinfecting for the toilet bowl and cistern. Specialty cleaners are designed for specific tasks – from cleaning ovens to removing limescale. Finally, Polishes & Waxes clean and shine hard surfaces such as furniture and floors. Products used in automatic dishwashing machines and for washing dishes by hand.In automatic dishwashing our range consists of detergents that deliver an amazing clean and shine and additive range that enhances the performance of dishwasher and detergent. Detergent performance enhancers like Turbo Dry, Diamond Shine rinse aid and Special salt. Dishwasher enhancers like Fresheners, Machine Cleaner and Glass Protector. Consists of three categories. Air Care products remove odours and add fragrance to the air to create an ambience. Various formats include: autosprays, electrical plug-ins, aerosols, gels and candles. Pest Control products offer solutions to domestic infestation. The category includes insecticide and rodenticide products – in formats such as coils, mats, baits, traps, vapourisers and sprays – to prevent infestation and to kill pests. Shoe Care cleans and protects shoes. Mention the name Reckitt Benckiser and chances are it’ll draw a blank look from most 0f the Bangladeshies. Yet if they were to open their kitchen cupboards they would probably find at least one of the company’s products in them. For Reckitt Benckiser is not only the world’s largest household cleaning company (excluding detergents), it also owns some of the best-known health-care brands. Among them are Dettol, Vanish, Woolite, Harpic and Nugget in the house-care market, and Nurofen, Strepsils and Disprin in the health-care sector. With such an array of well-known brands, it’s not surprising that the company is one of the country’s top advertisers: it is ranked third in terms of adspend among the country’s top 10 advertisers overall. The company has a marketing story. It invests aggressively to create and grow market categories and subsequently to maintain strong number one positions. It is not surprising therefore that the company globally invests about 12% of net revenue in media investment (advertising) to support its brands. It makes for good business. Since the formation of the company from the merger of the UK’s Reckitt & Colman and Holland’s Benckiser in 1999, revenues have increased from £3bn to £4,2bn in 2005 while net income has more than tripled to £670m over the same period. It is one of the most consistent performers on the London Stock Exchange. The picture is almost same at the BD operation, which is responsible for countries developement. Bangladesh is one of the most profitable operations among the 60 countries in which Reckitt Benckiser has a presence. The group has gained market share in recent years. It’s growth rate has been 1,5 times that of the market, which suggests that the company is making inroads into competitors share. Counting more than 50 products in its portfolio of brands means that marketing is at the heart of what the company does; and the strategy is driven by both global and local imperatives. Globally the company concentrates on five core categories – fabric care, surface care, dishwashing, home care and health & personal care – and it endeavours to make its brands number one or two in their respective markets. The brands that are in these positions account for about 75% of group revenue. There is also a focus on what the company terms its “power brands”, 15 products that are high-margin and are responsible for a large portion of sales. A third key marketing policy is to ensure a continued flow of new products. Worldwide 40% of net revenues come from brands launched in the previous three years. The global strategy is augmented by local marketing, which focuses on market specifics. For example”By growing the market for dishwashers through various marketing initiatives we are creating more customers for our products. Similarly, Dettol backs hygiene programmes at schools, an initiative which at the same time serves to create a market for Reckitt Benckiser products. The company believes that the growth of the bengali middle class in particular should ensure the BD market continues to grow strongly, “particularly as this market is brand and quality conscious”. “We also have a balanced portfolio which guarantees that sales growth is consistent and not subject to too many cyclical variances,” he adds. Reckitt Benckiser manufactures about 70% of its products locally, with the rest being imported. As a rule it tries to produce locally and the company has about 47 manufacturing facilities worldwide doing just that. But where specific technologies are needed the RB import those products as it is more cost-effective. For example, The cosmetic products come from the group’s factory in France. Though the company produces the bulk of its products at plants it owns, a portion of its manufacturing work is outsourced. The role of the Sales function is to ensure that no matter where a consumer shops around the globe, they find Reckitt Benckiser products merchandised with correct placement, product assortment, and that they are promoted and priced as per our best practice category strategies. This can only be accomplished by strong customer relationships managed by a team of sales professionals utilising the latest superior category concepts and tools. In addition,the sales executives of Reckitt Benckiser involve working with major outlets, to ensure that Reckitt Benckiser products are presented to consumers in the best way possible, by maximising the 4P’s (product, price, placement & promotion) at every opportunity. They try to present their idea to buyers and use their in-depth sector knowledge to convince them of the truth – that Reckitt Benckiser products are the best. If that are not enough, they might be rolling out a new product launch that takes up even more space on those precious shelves. It can be tough getting major outlets, such as Agora, Nandan, Meena Bazar etc, to listen to their argument and buy in to their ideas. However, Reckitt Benckiser believes that they can win them with in a short period. In general Reckitt operates their sales in two different parts, one is Trade and another one is Channel. Modern trade as opposed to traditionnal retail shops refers to a full range of sale methods based on marketing techniques: for instance in self-service shops you have no more sales attendants behind a counter;now the customer can touch the articles. The more expensive goods will be ready at hand whereas you’ll have to bend to reach good with less added value for the store.A few articles will be offered at rock bottom prices with much publicity in order to attract as many customers as possible.The display of goods is very important and needs an elaborate know-how. Other type of outlet is the department store, like Harrods in London or Le Printemps in Paris. There, you are attended by sales persons, and you pay in each department. This type of outlets were invented in the 19th century, and I guess they do not belong to ‘Modern Trade’. Finally, another criteria to classify outlets is the goods they sell. Hypermarkets usually sell everything (food and everything else), Supermarkets may be generalists or specialized (sports, books, etc…), and supérette are normally basically for food. PQS(Price.Quality.Service) was the first outlet among all others in Super Store business. They started their business with only one outlet in dhanmondi, in 2005. They brought a foreing concept to the business market. That influenced others and creat a new modern trade business in Bangladesh economy. Consequently, since 2005 the number of outlet increased gradually and this number of outlet was 30 until in 2007. Now there are existing almost 35 outlets in the current market. However, Reckitt Benckiser (Bd) Ltd started their modern trade business with only one outlet in 2005. In the mean time, the company spreads it’s business with 35 outlets. Under modern trade reckitt Benckiser segments the Dhaka city into five different business zone. These are Dhanmondi, Mirpur, Gulshan, Uttara and Rampura. There are near about six outlets under each zone. Uttara zone consists of eight outlets that is the higest number among all other zone. Reckitt Benckiser is the market leader in Household Products. It dominates the whole market in all over the world.There is no brand competitors of Reckitt in Modern Trade. Though Unilever and P&G are the main competitors of reckitt Benckiser, but they have no available products on Household. Harpic is the brand name of a toilet bowl cleaner launched in England in the 1920s and now marketed by Reckitt Benckiser. The brand is now available in Africa, the Middle East, Asia, Pacific, Europe, Latin America and Eastern Europe. The toilet cleaning products marketed under the brand name include liquids, tablets, wipes, brush systems, toilet bowl and cistern blocks. The original toilet cleaner was invented by Mr Harry Pickup, who was based in Roscoe Street, Scarborough, in North Yorkshire. He also invented Oxypic, which was a sealant used in cast iron heating systems. Mortein is an Australian brand of household insecticide. Together with its sister product Aerogard, a popular insect repellant, Mortein has become something of a household name in Australia,owing much in this regard to its cartoon antagonist, Louie the Fly. Louie madehis first appearance on Australian TV in 1957. In a jingle used in animated TV commercials since 1962, he proudly sings of his own dirtiness, claiming to be afraid of no-one except “the man with the can of Mortein.”Mortein “Insect Seeking Fly Spray” uses the active ingredients Allethrin (2.09 g/kg) and Resmethrin (0.39 g/kg), both Pyrethroid neuro-toxins which are not known to be harmful to humans in typical doses, and break down after one or two days. Mortein is also available in New Zealand and India. Mortein has moved a long way from the simple pyrethrum powder and early kerosene-based flit gun fly spray. Mortein now has products to cater for all pest problems. They range from Odourless Fly Spray, Lure ‘n’ Kill Surface Spray, Nest Kill Cockroach Baits, Dust Mite Eliminator, Flea Killer, Nest Stop Ant Baits, Mosquito Coils, Mozzie Zappers, Barrier Outdoor Surface Spray and even Rat and Mouse Killer – no pest alive is safe from the Mortein range of pest control products. Mortein’s goal is to provide the ultimate in responsible pest control solutions. While other branded products may kill insect pests successfully, few if any command the level of confidence and trust inspired by the Mortein name. Mortein is a very popular and first moving product in Bangladesh’s market. To increase it’s popularity more a new product Mortein Spray is added recently. It is made with Lemon Fragnence. Since Mortein Spray is a new product in Bangladesh’s market, it is increasing sales gradually. Veet (formerly known as Immac and Neet) is a world-spread brand of chemical depilatory (hair removal) by Reckitt Benckiser, and perhaps the most well-known in most of the countries. There are 2 major types of Veet products: hair removal creams (mousses, gels etc) and waxes (cold wax stripes, warm waxes etc). In UK currently there are two types of veet available in the market – one is for sensitive skin and one is for normal skin. Cream works in 3minutes for smoothness that lasts as long as shaving. The thick, no-drip Gel cream formula “goes on, stays on” to dissolve, rather than cut the hair like shaving, for long-lasting smooth skin. Enriched with Silk Extracts, it leaves your skin perfectly smooth and moisturized. Hence the dry skin formula is enriched with natural Aloe Vera. With the VEET® Perfect Touch Tool you can easily apply the Gel cream and remove your unwanted hair. Dettol (also called parachlorometaxylenol, or PCMX) is the name of a commercial liquid antiseptic belonging to a product line of household products manufactured by Reckitt Benckiser and marketed in South Asia, Africa & Middle East, Asia Pacific, Europe, Australasia. The key ingredient which defines its unique antiseptic property is an aromatic chemical compound in chemistry known as chloroxylenol (C8H9ClO). This makes up 4.8% of Dettol’s total mixture, with the rest composed of pine oil, isopropanol, castor oil soap, caramel, and water. Because several of the ingredients are insoluble in water, Dettol produces a white emulsion of oil droplets when diluted during use. It has a characterisitic phenolic odour similar to trichlorophenol and the explosive compound known as trinitrotoluene (TNT). Apart from its low toxicity and low metal corrosivity, it is also relatively cheap compared to other disinfectants and is effective against gram positive and gram negative bacteria, fungi, yeast, mildew and even the frightening “super-bug” MRSA, thus giving it a broad spectrum of antimicrobial action. It is able to kill 98% of microbes in just 15 seconds as shown in agar patch studies, by disrupting the bacterial cells’ membrane potential, drastically affecting its ability to produce Adenosine triphosphate and thus leading to its rapid death. Dettol can also be used to treat acne in small quantities. The bottle cap also doubles as a container for pouring increments of 10 ml for its various uses. However, like other household cleaners, it is still poisonous and should not be ingested. In an extreme case, a 42 year old English man died from Dettol overexposure in May 2007. Overuse of Dettol can also cause bacterial resistance, but the risk of infection can be reduced considerably by using it in addition to soap and water. Mr.Brasso is one of the most widely-used and well-known metal polishes in the world. Brasso has been in use for over 100 years, and originated in Britain in 1905, after a representative from the company Reckitt and Sons brought a sample of liquid metal polish from Australia. The polish grew in popularity in England, eventually replacing the previous paste-style polishes. It has undergone very few changes in both composition and package design over the past century. Mr. Brasso Glass Cleaners are available in Bangladesh Market. It is covered in a blue bottle. In Modern Trade Brasso spray and Reefil both are populer. Mr.Brasso is also used to polish CDs, DVDs and other optical discs, in order to repair scratches. It is a mild solvent and a mild abrasive, so when applied to the reflective surface of the disc and rubbed radially (in straight lines between the edge and center), it can smooth scratches and reduce their effect. Although the effect is invisible to the naked eye (and often makes the surface look more opaque), it can tremendously improve the ability of many disc drives to read the disc. Brasso has also been used to polish out scratches on the reverse side of iPods and similar MP3 players. Because of its usefulness for CD and iPod restoration, there is now significant demand for Brasso in the USA. Brasso can also be used on Lego minifigs to take markings off minifigs. It is mainly used for polishing brass products in India. It is being said that visibility is the heart of Superstore business. Visibility helps to increase the total sales. Without enough visibility it can not expect a better sale. However, Reckitt provides various facilities to establish a strong visibility in their outlets. The sales Executives are also more conscious about product availability and visibility as their company instruction. Sometimes, they have to face problem about unexpected issues with their competitors. Because space is limited against different companies products in outlets. It is a rented place, which maximum height is six feet and wide 2.50 feet. There are normally five to six shelf in each Gondola. The company has to pay per month as terms and conditions of the outlet. There is a price range of minimum ten thousand (10,000) and maximum up to twenty thousand(20,000). The price of the rent may vary from outlet to outlet. Moreover, that there is a hard competition to get the Gondola in a right place among all suppliers. As because It is a very popular way to display the product. Reckitt always prefer to take their Gondola in front side of the outlet. So that it can be seen easily from the entrance. It is a open place to display the product. That means, it is a nonpaid place. All the outlets provide these facilities free to their suppliers. Category shelf segments in different section like, Household(Harpic, Dettol, Brasso, Trix etc), Toilitries(Dettol soap, Veet cream etc), Baby Food, Grocery etc. Reckitt always try to keep their products in third shelf of a category. They give emphasis more on corner side of the shelf, so that their products can easily identify from others. However, in category shelf Reckitt has to face some problems in the outlet. Consumer promotion is an important matter to increase sales. It depends on market position of the product’s. All products do not sale at a same percentage. In a bid to further expand the consumer base for household care products, Reckitt offeres smaller pack sizes at attractive price points to help expand sales in their Modern Trade. The extra volumes of dishwashing products, insecticide products and antiseftic products are helped to increase sales more of toilet care products. This allows households to get quality products from the organised channel while still making regular purchases via the unorganised market. Reckitt Benckiser (BD) Ltd sought to further consolidate its position as one of the leading players in household care by introducing new brands in Bangladesh. The introduction of Harpic, Vanish Stain Remover & Trix from its international portfolio helped the company to tap into the household budgets of well-to-do urban households, looking for value-added products. The company invested heavily behind these brands through year-round promotions and advertising. The availability and prominent product placement in retail stores also benefited the new launches. Collectively, these initiatives helped to close the gap between itself and the other top two manufacturers – UniLever Bangladesh Ltd and P&G Ltd.
Having maintained low prices for much of the review period in order to penetrate the market and expand the consumer base, Reckitt found it tough to sustain this level of pricing in 2006. The pressure on margins and rising input prices prompted Reckitt to revise prices upwards throughout several sectors. For instance, laundry care witnessed price increases for selected pack sizes in 2006 by all major manufacturers while dishwashing products and polishes were also affected by rising input costs and selected brands saw price hikes in 2006. This led to stronger value growth in 2006, compared to the previous year. As living standards improve and purchasing power increases, consumers are expected to spend a larger proportion of their income on household care products. Reckitt Benckiser increased concerns about health and hygiene are expected to drive sales, as more people are able to afford household care products sold through the organised channel. With hygiene concerns being central to purchasing decisions, functional products that serve a specialised purpose such as germ kill or possess antiseptic qualities are expected to perform well in the forecast period. Modern Trade how to suceed ! With organised retail growing leaps and bounds most brands be it in the FMCG space or the lifestyle space or the Apparels space have quickly formed a Modern Trade Team to focus on the Huge business that these Key accounts would deliver. Having worked with this business for sometime, with a MNC from a brand side and having worked in retail operations with Reckitt, I have to some extent the feel of what i think makes this piece work. These are my tips to succeed in this domain , of course doesn’t guarantee anything , as each brand would be doing most of the same things ! so what holds the Key? Modern trade begins with a Lot of Info and thrives on a lot of info , its important to know whats happening at the client end , for this you need to quickly establish your moles in the system, who become your brand Evangelist at the clients end. If the client is an important one then one standby mole would also be needed , essentially these people would update you , though not completely as to which side the wind is blowing and what are the internal discussions happening on which would be useful for you as a brand ! so it goes without saying its all abt building relationships at the clients end . This is has to be effectively done both at the bottom end say a merchandiser /purchaser or section operations head to the highest level say a category head in retail , all them need to have experienced some positive elements from the brand ( say eg. active participation in their customer promo in terms of sponsorships , plus also whether the brand has said YES to most of their requirements ) . One of my freinds worked with a brand which was on a NO mode to any of the big retailers requirements , if you are NO there are many brands who don’t have NO in the dictionary at all! So after information and relationship which is the key to success , guess , yes its Space , getting the right location is the key to succeed in any retail store , brands pay extreme premium to get this done , with each brand looking at this, this is all swung by hard negotiation for more margins etc by the retailers usually ,its worthwhile bargaining margins for prime space ! So information , relationship and Space are the prime drivers of success in modern trade , but they are easily replicable , so what is the show stopper , of course MARGINS , there are brands paying higher margins and getting information ,space , and “bought “relationship working for them ! in this context brands have also started looking at producing separate product lines catering to this business , Levis Signature is a classic example of a brand created only for Walmart,you find this brand in most of the hyper markets too . The lower cost , the higher Margins that you can part to the retailers then you are tailored made for success , but most brands don’t have that luxury , so its information , relationship and space that they work on for success. Share of segment sales : data difficult to get normally however the Moles can help! Gmrof data of your brand vs other brands , a lower gmrof data would sure be an indicator that the retailer would come for a margin bargain or a space cut that is Bad Modern Trade management for sure , more later on this interesting domain ! would like to get some feedback too. A very large retail store that stocks highly diversified merchandise, such as groceries, toys, and camera equipment, or a wide variety of merchandise in a specific product line, such as computers or sporting goods. “I shop here because it gives a relaxing shopping experience, which traditional kitchen markets fail to offer,” said Salma Mannan, a customer at Agora’s Maghbazar outlet. Besides, every commodity is available in this supermarket, she added. “The supermarkets offer good services to working people who really find little time for shopping in the daytime,” said Parvin Rahman at Meena Bazar, Dhanmondi. “I feel comfortable more to shoping with a superstore, as it provides very need and clean and fresh goods to the consumers,” said Ashraful Haque at Nandan , Gulshan. “Superstore is a nice place to shoping, where all Local and Foreign goods are available in a house,”-Nasreen Haider. A consumer at Lavender’s Gulshan outlet. “It gives me more pleasure, as there are lot of options to choose a branded product,”-Amit Roy, a customer of ShopNsave, Uttara. “In the outlet all the sales man and staffs do well behave to the consumer, that realy pleased me,”-Shafiqul Islam, a customer of Agora, Dhanmondi outlet. They try as their best to give a better service to the customers, he added. I shop here for a long time as it provides me a better quality products with a minimum cost,”-Sumona Chowdhury, a consumer of Trust Family Needs, Uttara. “I like more to shop with a Superstore, Because all baby items are available here,”-said Ridipa Jaman, a consumer of Price House, Kuril. “I appritiate the Superstore business, as because it gives various offer to buy the valuable goods with a minimum cost,”-Firoz Ahmed, acustomer of Prince Bazar,Mirpur. So it can be said undoubtedly that the length of Modern Trade is increasing rapidly in Bangladesh. It has already captured 5% of total business in Bangladesh’s market. The Superstore business is more popular in urban area than Rural. The idea of ‘all essential commodities under one roof’ is the driving force behind the success of supermarket business in Bangladesh, which saw around Tk 200 crore investment in the last five years. With a strong 20-25 percent annual sales growth, some 30 companies having about 64 outlets made foray into the business during the period, industry people said. Dhaka-based Agora with its four outlets, Meena Bazar with two branches, PQS with three stores and Nandan with two outlets are the major players in the market. There are also 15 supermarket outlets in other cities such as Khulna, Rajshahi, Chittagong, and Mymensingh. Hassle-free shopping environment, hygienic commodities, fresh vegetables, meat and fish at the supermarkets are wooing the customers.Fresh vegetables directly collected from the farmers are one of the factors for increasing popularity of the supermarkets in Dhaka,. The first chain supermarket PQS is going to open two more branches one in Gulshan and the other on Elephant Road by September this year. Meena Bazar, which started its journey in 2002, has already extended its business to Khulna. The company has taken up a three-year plan to open outlets in Chittagong and Sylhet and at eight points in Dhaka. On the growth of the relatively new business all the Superstores are trying to ensure customers’ satisfaction from the beginning. And their quality products also attract customers as well. In the early days of the business, around 500 customers would visit a supermarket outlet a day, but some 5,000 customers come to a store everyday now. Finally it can be said that Modern Trade is a new trend in business. We have to invest Tk10 crore to 15 crore to establish an outlet. Moreover, Positive customer response is inspiring more investments in the thriving sector. The superstores outside Dhaka are still in a nascent stage. But they are growing. Though the sales volume is little but it is growing rapidly. Hence,customers’ response is increasing day by day.